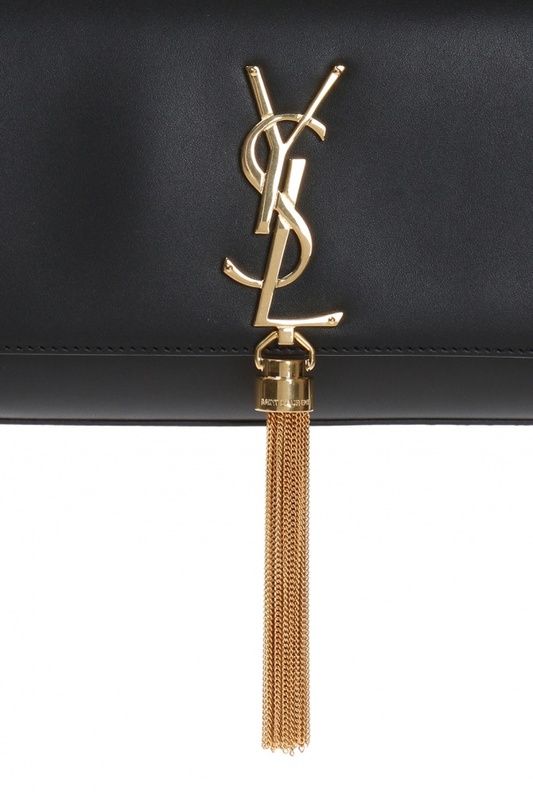 Black 'Kate' shoulder bag from Saint Laurent. Made of smooth leather. Fastened with press stud. Decorated with metal logo with tassel. Metal shoulder chain strap. Black interior with 1 slip pocket inside. Gold-tone metal hardware.